Last week, we talked about how Invisalign® offers patients in Fort Worth, TX access to cosmetic smile improvement. Today, we would like to continue this topic by discussing ceramic brackets. 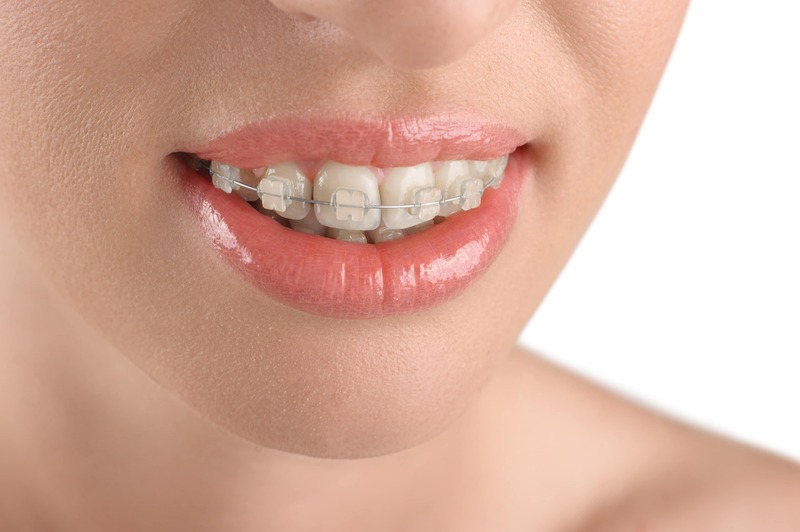 With these brackets, we offer the benefits of metal braces with an option to make them less visible. How do we create and place these custom-made and tooth-colored orthodontics? When we see patients with crooked or crowded teeth, we often prescribe braces to correct the problem. Treatment involves placing brackets into the front facing sides of the teeth. We then connect an arch wire to these brackets. During periodic visits, we will adjust the tension to begin moving the teeth into more appropriate positions, improving overall alignment. While effective, many people worry about the impact metal braces will have on their smile’s appearance, especially teens and adults. In order to ease their worries, we offer brackets made from ceramic, not metal, which provides a cosmetic boost. We create them with ceramic, the same strong and durable material employed in crowns, bridges, inlays, or onlays. ceramic also contains stain-resistant properties and can be shaded to match the surrounding tooth structure. We create them based on detailed images we gather of your smile using iTero® technology. Using these images, we can design the brackets. Once competed, we place them onto the front of your teeth, where they should blend with your smile. You then enjoy a more esthetically-pleasing smile throughout treatment. Why should you make correcting your smile’s alignment such a priority? First, poor alignment may impact your level of confidence. Some people even avoid smiling or having their picture taken due to misalignment. You may also suffer from a greater risk of TMJ disorder and bruxism, experiencing uncomfortable symptoms such as headaches and jaw pain due to the strain uneven teeth place on the jaw. The risk of developing tooth decay and gum disease also increases, as proper brushing and flossing is often difficult, leaving behind food particles stuck between the teeth. By visiting your Fort Worth, TX, orthodontist and discussing treatment options, you could enjoy a healthier smile, one you’ll feel confident to show the world. If you have any questions about our cosmetic orthodontics, such as our tooth-colored brackets, then contact our team today. Do You Have Questions About Our Ceramic Brackets? Our team wants to help you enjoy a healthier smile by correcting your alignment issues. To schedule your consultation and learn more about improving your smile’s misalignment with cosmetic aligners or braces, please call Lake Country Orthodontics in Fort Worth, TX at (817) 236-7846. Our office proudly serves patients who live in White Settlement, North Fort Worth, Springtown, and all surrounding communities.